Six months ago, in May 2017, I started to dabble in Pinterest. For me, it had never been a very fascinating place, to be honest. It was just a lot of visually appealing images. How does that help me, as a blogger? Ah, if only I’d known! So, full disclosure: This guide is completely written from my personal experience and is a tip sheet on using Pinterest for beginners & bloggers; By a beginner. Are you just discovering the world of Pinterest? Do the images on this site make you go ‘ooh’ and ‘aah in wonder? Most importantly, are you keen to learn how to drive traffic to your blog using Pinterest? These 10 tips will help you. Now before we get started, let me tell you that I am not talking about crazy numbers such as going from 0 to 25,000 page views on Pinterest. Nope! That may happen, eventually. But that’s not what this post is about. Today, it’s all about taking that first step into the big, bold and beautiful realm of Pinterest. Tell me something I didn’t know, you say? Yes, yes, but I have a point. Head over to www.pinterest.com and sign up now. Go on, I’ll wait. Once you’ve done that, head to your profile settings page and fill out the basic details. Add a profile photo. Make sure it’s one which has a clear shot of your face or your brand. Use the one you use across all social networks, to maintain uniformity. Now, fill out your name. While doing this, remember that this is what people see when they land on your profile. Keep it snappy and with a clear idea of who you are. Enter your blog’s home page URL. Give a brief description of what you offer and where your strengths lie. Don’t panic. This is not as worrying as it sounds. All that it means is that you can now access that key factor called ‘Analytics’ you see on the top left of the last image. This is essential if you want to track two relevant things: how your profile is performing on Pinterest and more importantly, how much traffic your website or domain is getting from Pinterest. Don’t worry. It’s completely free to do this! And takes exactly a click of a button. In fact, when you sign up, you’d have seen the option to ‘Continue as Business’. If you didn’t click on that, don’t worry. You can still make the switch. Pinterest itself has a two-step tutorial on the subject here. Now starts the fun part! Before you begin, ask yourself what you truly and really enjoy reading about on the internet. If you are a blogger, you’d have a niche or you may be interested in a lot of things blogging-related. Pinterest has something for everyone, blogger or otherwise. You can create two kinds of boards: Public and secret. We’ll discuss this in depth in another post, but just keep it in mind. Once I knew this, I was clearer when it came to creating my boards. For me, personally, I have 5 core areas of interest. First things first, create a board exclusively for your blog posts. This is where you can add links to your blog as and when you create a new post or update an old one with fresh images. Then, create boards where you can pin things which you like. Label the boards with key words such as blogging or parenting or minimalism. Pinterest is a search engine more than a social network so key words are key! (See what I did there? A little pun, if you please!) Keep board names simple and not fancy. These are some of the boards I have, for example. You can see all my boards if you click here. Now that your boards are ready, you’ll want to create a pin. This is where the fun really begins! On Pinterest, whether you view it on the mobile or the desktop, you’d notice that vertical pins are abundant! The horizontal, featured images you see on your blog post’s header? Those don’t do well, at least not for many people. Where do you find images? Plenty of places! Now, I have a paid association with Shutterstock, so I use most of my images from there. But for free images, I personally love Pixabay and Pexels. Worried about the dimensions? Don’t be! 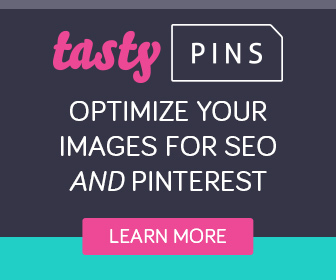 Both Canva and PicMonkey have preset Pinterest image sizes for you to use. Once the pin is ready, add it to your blog post. You have up to 500 characters for a description, so use it well. Use key words and remember to enter all this in the ‘Alt+tag’ section of your image in the media library. That way, when a person(either yourself or anyone else) clicks to pin the image, it will pull the description from the alt text and et voila, you have a good pin out there! Now, the pins are fabulous but you have to get them on Pinterest for them to be actually useful AND drive traffic back to your blog. There are 3 ways that you can add a pin to Pinterest. If you are on a blog post and have the ‘Pin it’ Chrome extension, clicking on that will open Pinterest and allow you to choose from the images on the blog to pin. Have the Pinterest buttons on your blog, in your post. You also have the option of having the ‘Save’ button appear when you hover over the image. Clicking on that will allow you to pin the image. You can add an image directly to Pinterest using the ‘Upload Image’ option. As seen in the screenshots below, add the image, add the URL. Then, add a description and pin it to a relevant board. *TIP: Always pin to your own board first and then re-pin to other boards. 6. Hashtags: Yay or Nay? The one thing about Pinterest is that it keeps changing its algorithm frequently! It can be tough to keep up at times. For instance until last month, you could see how many times your pin had been re-pinned to other people’s boards. There would be an actual number on the bottom right of the pin. Pinterest did away with it! There have been mixed reactions to this, but hey, we roll with the punches. Now, hashtags work well on Instagram, as we already know. Pinterest is still testing the waters here and from what I’ve read it appears that between 3 to 5 hashtags with relevant key words tend to help your pin’s visibility. This is only possible if you have a business account as mentioned in point 2, above. Question: What are rich pins? Effectively, they give credibility to your pin. See the image below. In it you’d notice that it says the article is from ‘Shailaja V’, the date it was published and whom it was written by. Rich pins also do much better in search, is what I’ve heard. Enabling this may be a tad tricky, so ensure you check out this step-by-step tutorial on Pinterest. Or ask someone who is reasonably tech savvy to help you out. *If you are on Blogger, here is a beautiful step-by-step tutorial you’d find useful to enable rich pins on your site. *If you are on free WordPress or on custom domain on wordpress.com, the above links won’t help. Try this super simple tutorial and set it up in 5 minutes! One of my favourite things about Pinterest is that the success of your pins does not depend on the strength of your follower count alone. This is the truly social aspect of Pinterest. This and the next two points. This is again open to debate. People ask what is the best number of pins to pin per day. This varies widely and also depends on whether you pin manually or use a pin scheduler like Tailwind or Boardbooster. I have been pinning manually for the last 6 months and have developed a unique strategy to keep myself sane. I’ll share that in another post. I follow a simple 1:1 rule. Pin one post of mine and re-pin another post from someone else. This way, your profile when seen by others has a healthy mix of pins. Don’t have time to pin everyday? Pin with Tailwind! It’s a LIFESAVER! I use it and have seen a HUGE boost in blog traffic. No kidding! Everything we’ve spoken about so far becomes way more effective when you find and join group boards. As the name suggests, these are boards where you have multiple collaborators. Group boards which do well typically have a mix of three factors: Active pinners, high quality pins and a high click-through rate to your website. This is largely trial and error, finding these group boards to join, but it’s a risk we have to take. How do you find group boards? Well, you have two methods: Pingroupie.com and Facebook groups dedicated to Pinterest. Personally, I’ve found more success with the latter. Don’t miss my follow up post: How to find and use Pinterest Group Boards! How do you join? Usually, boards which are open to collaborators will have clear instructions. You’d have to follow the board owner and send a request via e-mail or DM on Pinterest. I currently belong to multiple group boards. Two of my group boards are open to collaborators, so check out the rules on each board below, follow me on Pinterest and send me a request to join. Whew, that was a long post! But, useful, right? I hope so. Here are a few things you can do to help me out, if you liked the post. Oh and if you still have any questions, feel free to ask away in the comments below. I’ll answer. *Want a totally free 7-step checklist for making pins that drive clicks to your website? I have JUST the thing for you! Sign up for my Newsletter and get access to my FREE Resource Library. *This post contains affiliate links. If you click and purchase an item, I earn a commission at no extra cost to you. You can read my complete Disclosure policy here. Thanks for the great post. It’s fantastic posts like this that keep me inspired to writing posts for my own blog over at TheAutismDada. I love writing blog posts, but get inspired by others. Keep up the good work and I look forward to reading more of your posts. Thank you for reading and for leaving such a lovely comment. I wish you well on your blogging journey. Unfotunately i don’t have acount pinterest but, i think may also make if reading this.. I really like Pinterest but I haven’t been able to devote much time to it. First I have to convert all the posts on my coming blog to the recipe format to enable rich pins and with so many posts, it will be a slow process. I am already following you. I surely will send you collaboration request on your Boards later. Question, how much time do you spend on Pinterest daily? Have you seen a jump in traffic corresponding to the pins and repins? Also if you are a part of the groups on FB then we’ll it take spending a lot of time there? A very useful post, Shailaja especially for those who are starting out. Regarding rich pins for recipes, just do a bit of research before enabling them? I’ve heard some food bloggers ran into some trouble with Pinterest displaying the whole recipe and therefore, no click throughs to the website. This is only for Recipe pins, so do check it out. I spend about an hour on Pinterest daily. Usually 20 minutes in the morning, 20 minutes mid day and 20 minutes in the evening. This is also because I am slowly building up traffic. I’m going back and fixing old posts, adding pinnable images etc. So I try and do about 3 new pins a week for the blog. The 20 minutes a day is for me to share my pins across group boards. I have a manual pinning strategy which I developed so it helps to keep focus. Facebook groups, yes, initially, it will take time. You must budget about 20 minutes a day for that as well. I read a lot of posts on Pinterest, many many blogs, sent FB join requests and joined relevant link up threads on FB to help find niche boards. Took me about 5 months to get comfortable, so I’d say take it slow and it will happen. Regarding traffic, I’ve seen definite boost this month, because of my pinning strategy. Plus it’s usually just one or two pins that do spectacularly well. You can check those under Analytics and create similar pins to see if they drive more traffic to the blog. I need to use this as a Bible for Pinterest. I have been using Pinterest on and off but maybe I’ll sit down this December (when work is not that much) and look into this 🙂 I need to see how to be part of other groups on Pinterest so that I’m able to pin posts there. Need to understand the concept really and that’s why I’ll keep coming back to this post! Oh, and I have moved to https, thanks for the nudge! This article was really informative. Thank you. I love piniterest,I even have it connected to my blog. But I pin for fun,didn’t know how to pin for traffic. Whoa this was a relaly helpful article Shy – pls do check out changes I made to my profile following this. Yup I went step by step while reading it and managed most of it. Rich pins is what is left and will explore it another day. Thanks for such a fantastic post on Pintrest! I did check out your profile. Looks good. Your pins have improved too, so yay! Rich pins done? My Pinterest account is gathering dust! I haven’t acknowledged it for decades now in spite of knowing how much value it can add. I really need to get back to it. Thanks for the valuable tips, Shy. And hey, I did not know that you would store 500 boards and 200,000 pins on it. That’s huge! Oh yes! But you’d be surprised how quickly that fills up if you aren’t careful. Strategic and sensible pinning is key. Plus there are pins you should not re-pin, those that lead to spam sites etc. A truly helpful post with easy to follow instructions, Shailaja. I am on Pinterest for the last few years, but have just started using it to share my blog posts. Shall follow your instructions and enhance my experience. Thanks so much for sharing. I had forgotten about Pinterest. I have been there for the past few years but haven’t been active on it on a regular basis. Also shying away from group boards, must give it a try. Earlier I used to sign in with Twitter but now it asks me to log in with an email. I can access it from my phone but not the laptop.Some great tips shared, way to go. Laptop is easier to begin with, Sulekha. So many features you can access better in that mode. All the best! Thanks a ton for this post, Shy. I will have to read it again and again till I get it right. I have Followed you on Pinterest and created a new board with this post as the first pin! Sounds interesting and doable. I have an account and on and off, I pin posts but you are right. Exploring and using it will be better. Thanks for the tips. Will bookmark the article and try my hands. Glad to hear that, Masha 🙂 All the best! Pinterest has been a more of keeping my images kind of place for me but now I will actually try use it the way you have suggested. You’re welcome, Indy! Yes, it was pretty much a dead place for me until I discovered how useful it could be! I went through point number 1 to 3 and then I got lost. I have bookmarked this page, will visit it later to understand the points with a clear head. Oh ho 🙂 It’s complicated? I made it as simple as I could. I hope you give it another read when you get time. It really is a useful platform to be on. Judy recently posted…Sally has been kind enough to feature my Christmas poem on her wonderful blog. I hope you enjoy it and a very Merry Christmas to you all. Hi! I’ve just read this great post but it has left me wondering….if I pin one pin of mine for every pin of someone else’s, do I keep repinning my same pins? At this point I’ve been pinning mostly other people’s pins. And where do I keep reprinting my pins? Onto the same boards? I’m baffled by this. Thanks.